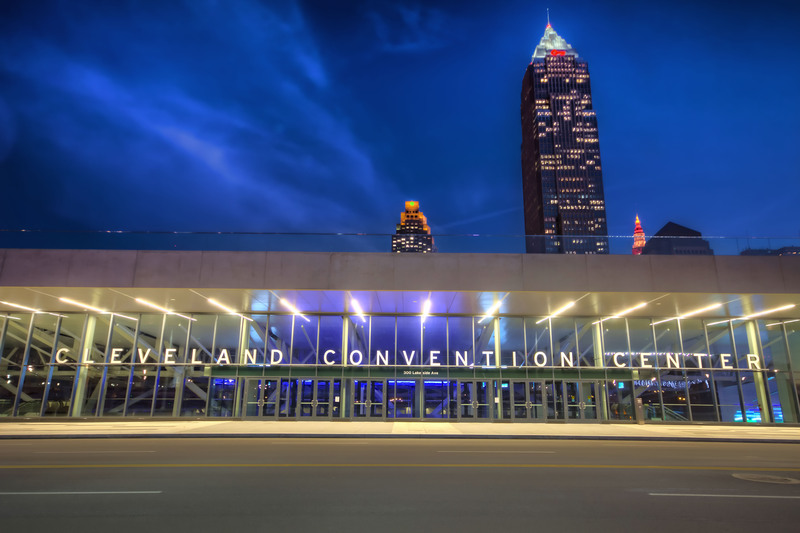 “Located in the heart of a vibrant downtown on the shores of Lake Erie, the new Cleveland Convention Center includes 225,000 gross square feet of Class A exhibit space divisible into three exhibition halls, 35 state-of-the-art meeting rooms, an expansive truck loading dock, and a 32,000-square-foot, column-free ballroom with spectacular views of Cleveland’s lakefront. The Grand Ballroom, along with all meeting rooms, include the latest high-tech audiovisual equipment along with a unique, individualized lighting grid controlled by the latest in iPad technology. The adjacent Global Center for Health Innovation is the only facility in the world that displays the future of health and healthcare presented on four themed floors. The Global Center will serve health and healthcare innovation, technology, education and commerce through state-of-the-art spaces, programs and virtual offerings”. This entry was posted on Monday, December 2nd, 2013 at 4:55 pm. You can follow any responses to this entry through the RSS 2.0 feed. You can leave a response, or trackback from your own site.